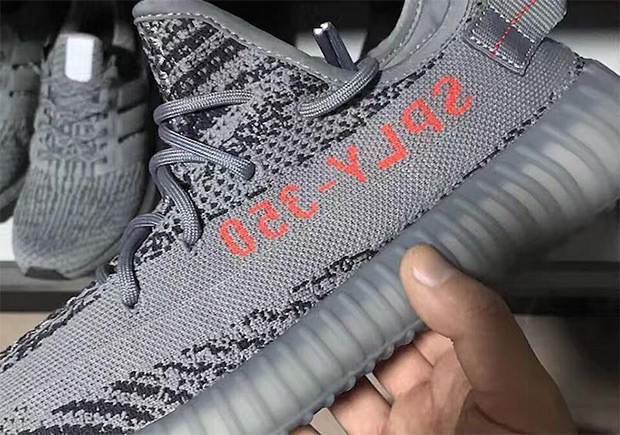 Is This The adidas YEEZY Boost 350 v2 “Beluga 2.0”? Updated on September 5th, 2017: The adidas Yeezy Boost 350 v2 “Beluga 2.0” releases on October 14th, 2017 for $220. Last month we learned of a new adidas Yeezy Boost 350 v2 release for October 2017 dubbed the “Beluga 2.0”. 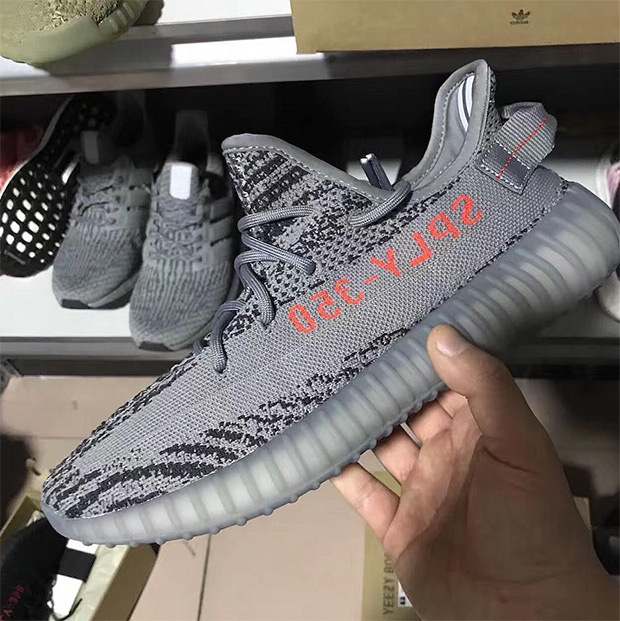 The colorway of Grey/Bold Orange/Dark Grey hinted at a possible remix of the original Beluga release last September, and based on this first look at an early sample of the upcoming Yeezy Boost 350 v2, it appears that the shoes live up to the nickname. The upper is indeed a mix of two tones of grey Primeknit, with the SPLY-350 lettering as well as the contrast stitching on the heel-tab taking on the orange tone. See a first look at an early sample below. The Nike Air Max Uptempo 95 Returns In "Blue Fury"